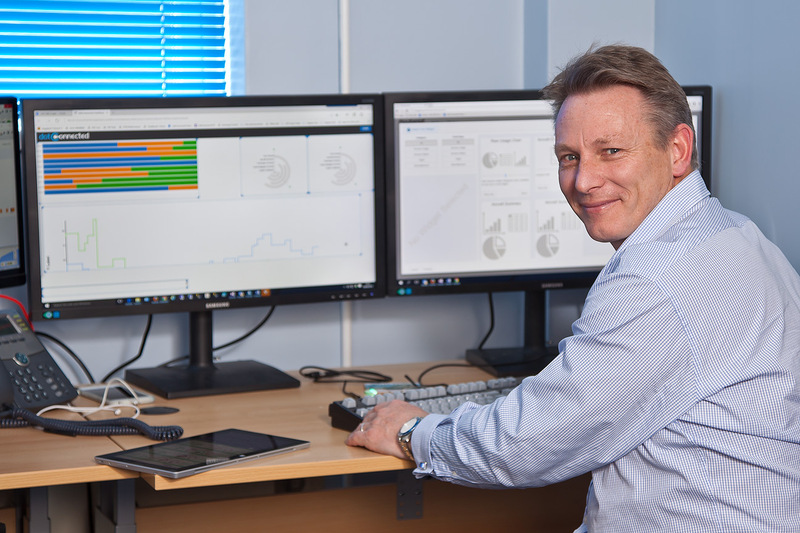 dotConnected was started by colleagues Andy Lamper and Ian Hamlet in 2004 but the relationship goes back to 1997 when they both worked together for a financial analysis firm in Sussex. The ethos at dotConnected is that we understand our clients have tight deadlines to meet and our focus is on competitively priced, quality software, delivered on time, to achieve the best and most efficient result. We take huge pride and delight in making the seemingly impossible, possible! We moved into our current premises in October 2014 and have slowly been expanding the workforce as the right people have come along. We are great believers in supporting young and up and coming talent and have in place an apprenticeship scheme. Qualifications are brilliant but in this business we think that a true passion and love of coding can be just as valuable when coupled with a determination to learn. Graduates are also welcomed at dotConnected to be nurtured and bought up to the next level. We love their enthusiasm and openness to new ideas as well as benefiting from their knowledge of how contemporary media is perceived and used currently. Something our more mature directors might not always pick up on! 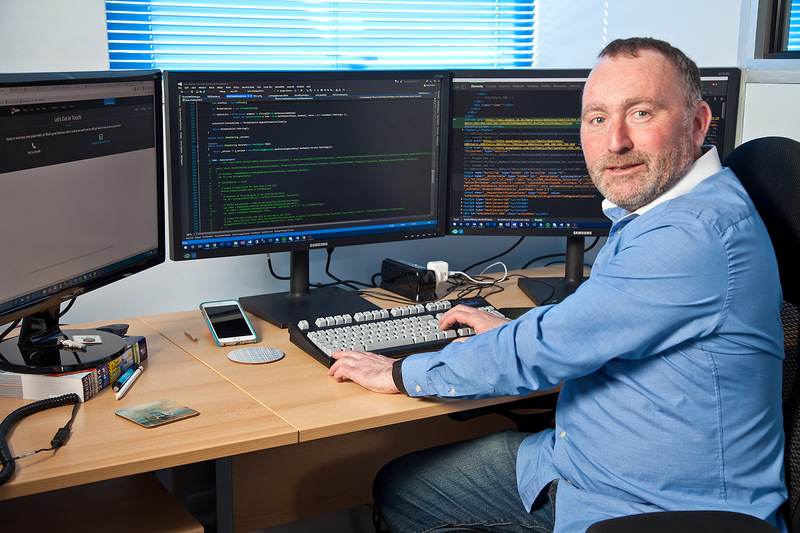 After graduating from Sussex University Ian started his career in computing. Prior to setting up dotConnected he was a software project manager for many years, mainly in the financial sector. As well as writing software Ian is highly skilled at the design of solutions for our clients. He will almost become one of the team to really understand that the software we develop will actually grow the clients business and truly satisfy their requirements. Ian once said that dotConnected don’t just make square pegs fit round holes but that they also create the square pegs when required. Ian is married with two teenage children, a lover of obscure facts and extreme mountain biking and a vegetarian. Andy left school with little more than an obsessive passion for all things computing back in the day when it was all machine code and Assembler. He is a whizz with coding and likes nothing better than solving a problem that no one else can. He also takes great pride in coding as efficiently as possible. He is continually on top of the latest system developments and is a true ‘Computer Geek’. Andy has also worked mainly in the financial sector as a senior developer before setting up with Ian back in 2004. Andy is also married with two teenage children, is an enthusiastic, dedicated sailor and committed foodie. Andy left school with little more than an obsessive passion for all things computing back in the day when it was all machine code and Assembler. He is an absolute whizz with coding and likes nothing better than solving a problem that no one else can as well as taking great pride in coding as efficiently as possible. He is continually on top of the latest system developments and is a true ‘Computer geek’. Andy also worked mainly in the financial sector as a senior developer before setting up with Ian back in 2004. Andy has a wife, two teenagers, is an avid sailor whenever he can get away with it and a complete carnivore. © Copyright dotConnected Limited 2016. Website design yoohoocreative.com Brand agency.